The main materials of the building are concrete and wood. 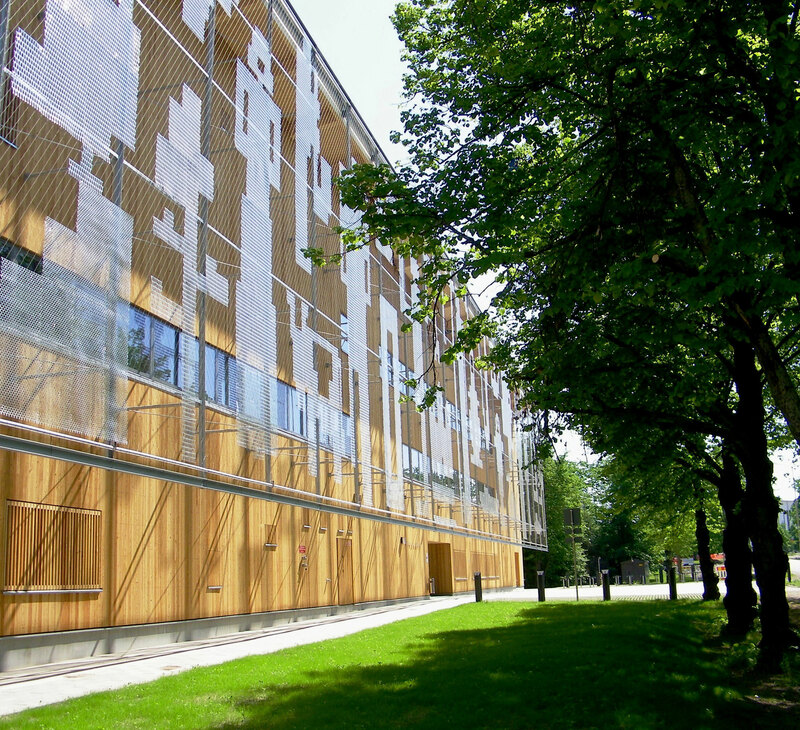 The outer walls are covered with Siberian larch. 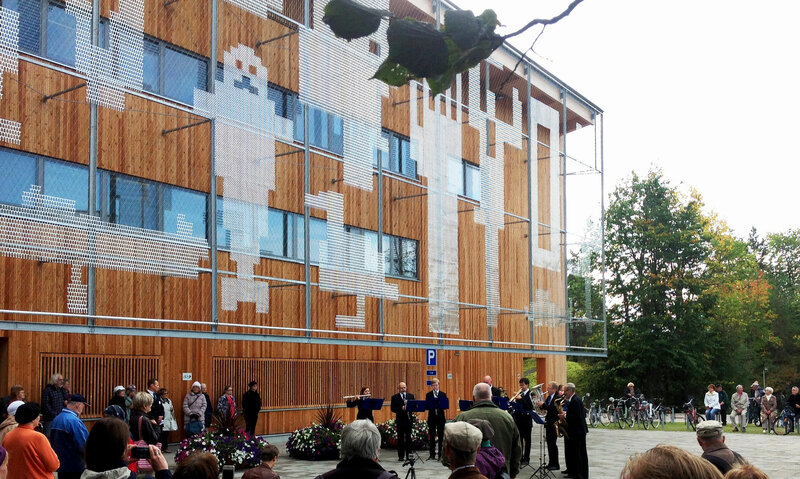 In front of the façade there is a large net of steel with graphic figures depicting the region of Savo and Lakeland Saimaa. Joeli – the name of the library – is derived from the author Joel Lehtonen, who was born in Savonlinna and lived there a large part of his life. His most famous novel is Putkinotko. 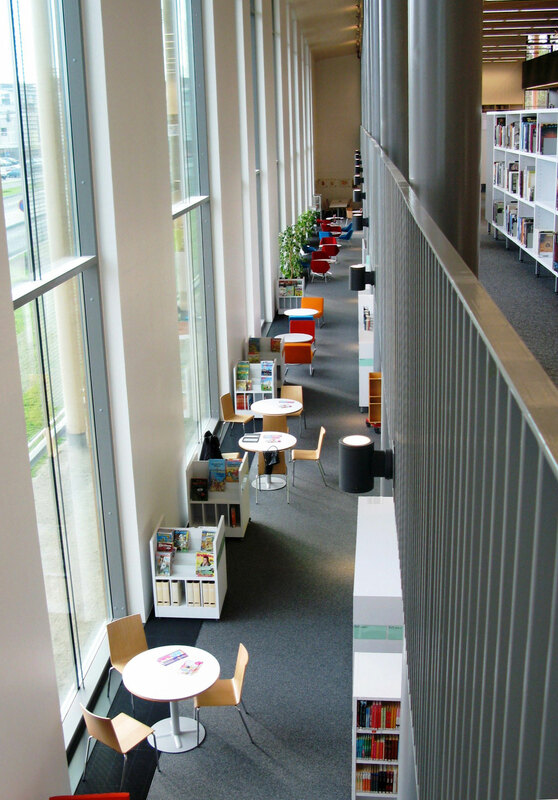 The visitor area of the library is divided in four sections. News area and department for children and youth are situated in the first floor, adult department and music department in the second floor. The third floor is a balcony with offices for the personal. The garage of the mobile library is also situated in the building. The storage of old books is open for visitors. There is a conference room for 60 people and several separate rooms for different purposes: visitors may study in silence, play console games, read aloud for children or listen to music. Opera music is especially well represented in the music department because Savonlinna is the host of international opera festival every summer. Public computers, wireless internet and digitizing equipment are available. Lending and rendering the books is carried out by self-service. 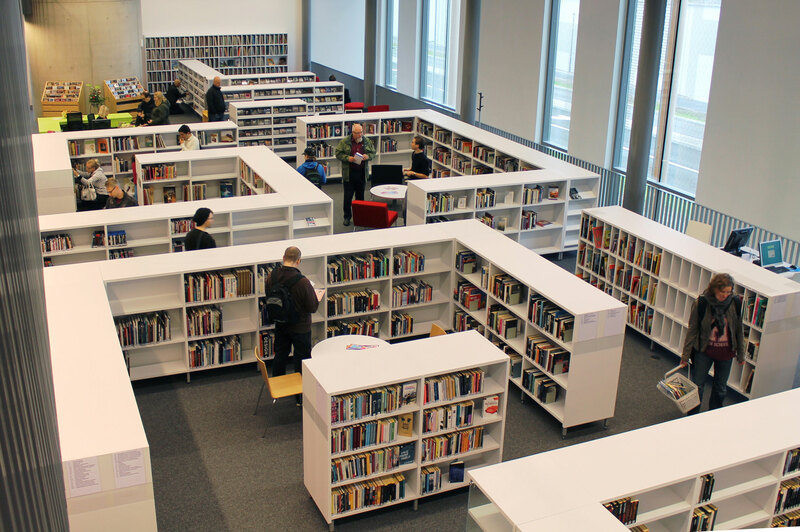 The library has introduced the RFID technology in the surveillance of the collections. The system was delivered by Mikro-Väylä Ltd. The interior of the building is spacious and bright. The ceiling is high, the shelves are low, and through the large windows there is a view towards the lake. 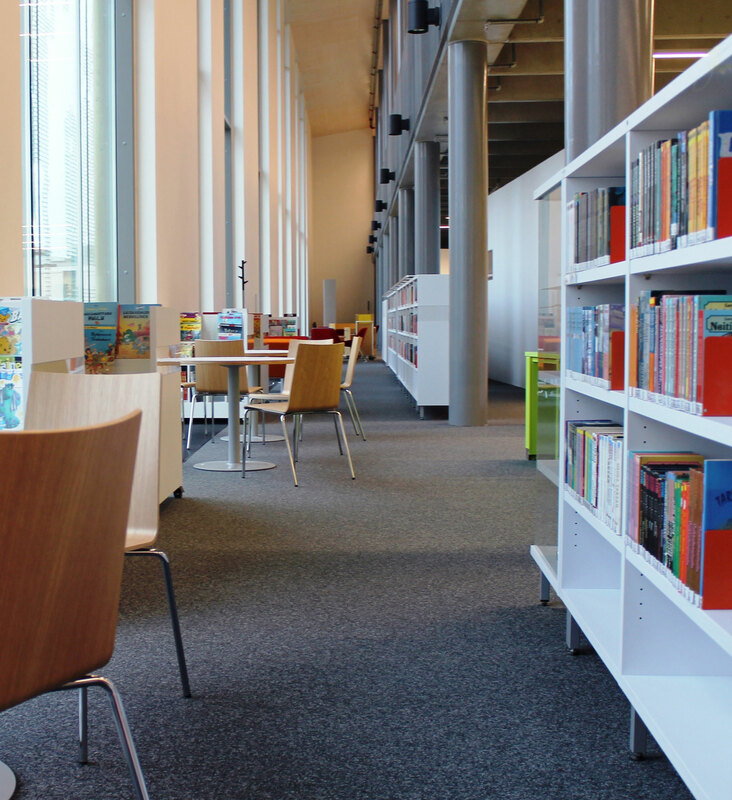 Coziness and easy accessibility were important aspects in the planning of the library. 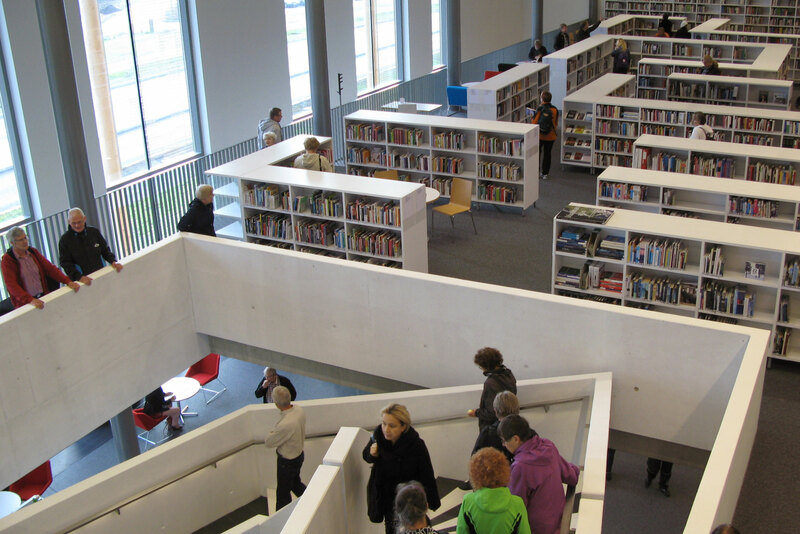 There an area for art exhibitions, a small café and groups of comfortable armchairs amongst the shelves. The library hall is suitable for small concerts, literary evenings and events for children or families. Chief architect was Markku Puumala, interior design by Karola Sahi. The general contractor was Lemminkäinen Ltd.